When neuroscientist Daniel J. Levitin wrote in his scintillating book This Is Your Brain on Music that “music is … part of the fabric of everyday life,” he was spot-on. Music provides the soundtrack to our existence, from our mundane comings-and-goings to significant life events. The lilt of a melody can sear into your mind, conjuring a memory each time it’s heard. Music can stir the soul and change your mood in an instance. It is provocative, whimsical, beautiful, heart-wrenching, serene, intoxicating. A lifelong music aficionado, Kaufmann had created a successful deejaying business by age 18 in his native Germany, so knew firsthand the importance of wearing hearing protection. In fact, he has a custom-fitted pair of earplugs always on hand, which he showed his friends. Noting his passion regarding hearing-loss prevention, Kaufmann’s friends challenged him to start a business that addressed the issue. He took them up on it and began sowing the seeds for OTOjOY. 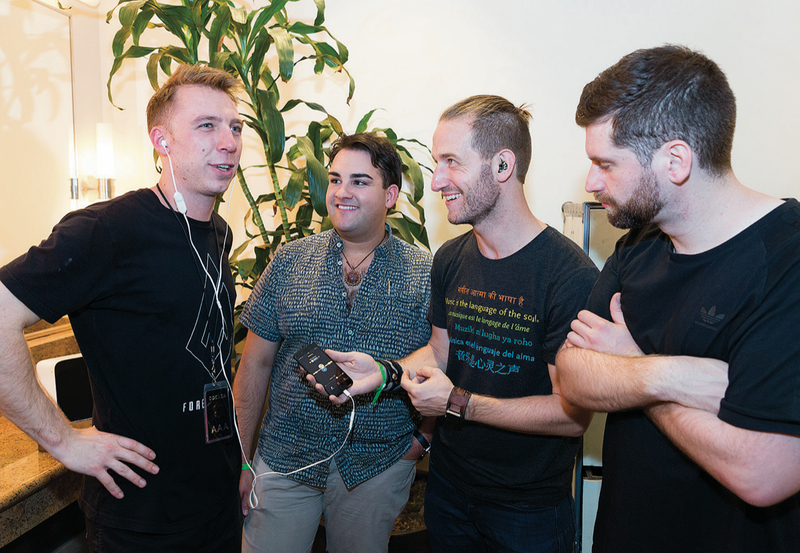 Odesza’s Clayton Knight (far left) and Harrison Mills (far right) experience sound with Santa Barbara–based OTOjOY, which provides technology to venues to make high-quality music accessible to people with hearing loss. Also pictured are OTOjOY’s founder and CEO, Thomas Kaufmann (center right), and its head of outreach and advocacy, Micah Thomas. 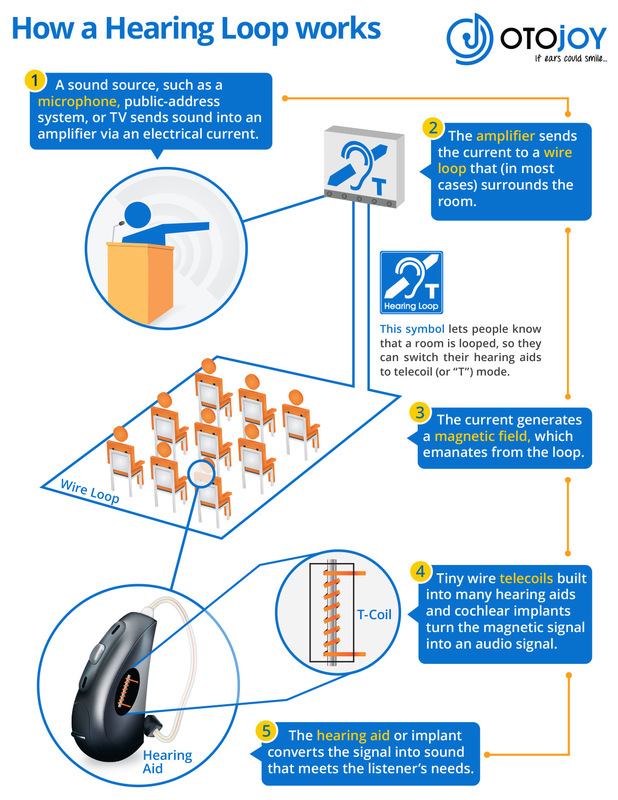 Hearing loop technology is based on electromagnetic fields, which have been known about since the 1700s. However, it wasn’t until about four decades into the 20th century that their use in hearing assistance became clear. In 1938, British telephone and sound engineer Joseph Poliakoff invented the telecoil, a metal rod wrapped by an extremely fine wire. The t-coil, as it is commonly called, can detect the signal emitted from an induction loop and translate it into clear, distinguishable sounds. 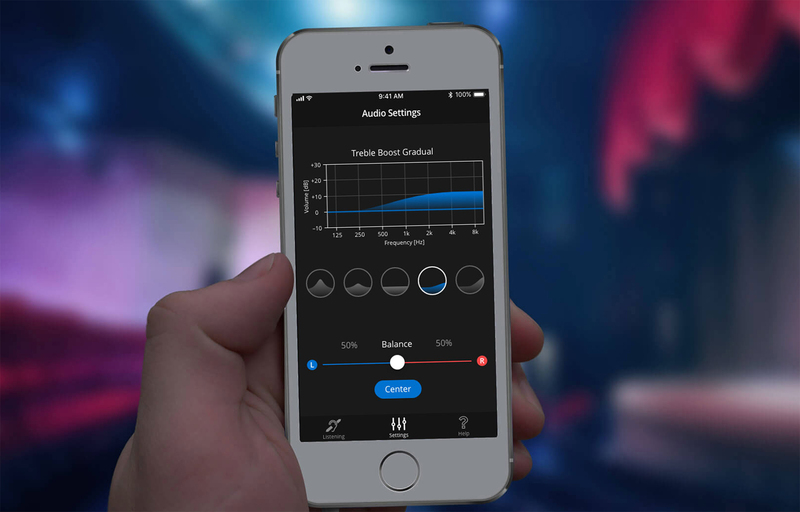 When an induction loop system is installed in a venue’s seating area, then, folks within it hear the music at an optimal designation for their particular hearing loss. 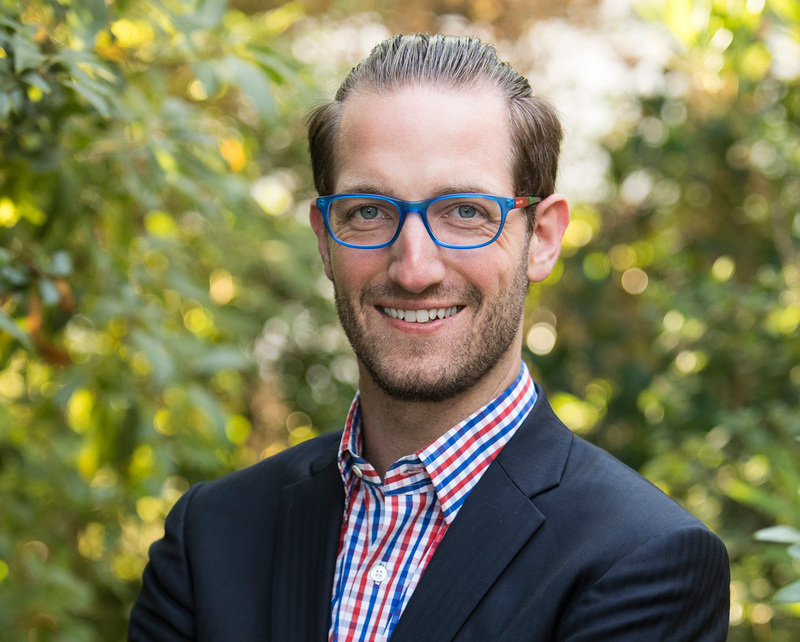 Kaufmann soon discovered that, in the United States, not much importance has been placed on improving concert experiences for people with hearing loss. While loops were being employed in the U.K. and Scandinavia fairly regularly, few U.S. venues were outfitted with them, and most people had never heard of the technology. The majority of places, in fact, are poorly equipped to accommodate folks, and even when they can, the devices tend to be FM-signal-based receivers with headphones or “neck loops,” which are clunky and carry a social stigma. Kaufmann decided to change that statistic. For the past five years, he and his team have been responsible for looping a plethora of venues in Santa Barbara, including the Arlington, the Lobero Theatre, and the Bowl. The largest outdoor amphitheater on the Central Coast, the Santa Barbara Bowl boasts a state-of-the-art sound system, yet the venue only offered the aforementioned FM-based assistive listening devices when Kaufmann met with the Bowl’s board in 2015 to discuss installing a hearing loop. One person who was particularly grateful for the upgrade was Nora McNeely Hurley. A longtime Bowl-goer, McNeely Hurley had stopped attending shows because the sound was untenable. “I was forced to give up going to concerts as I could not make sense of music,” said McNeely Hurley, who has reduced hearing capacity. After OTOjOY installed its loop technology, things changed for the music fan. “I could discern each instrument being played and heard them clearly thanks to the hearing loop,” she said. “Radiohead provided a brilliant [re]introduction to sound.” She was so thrilled, in fact, that McNeely Hurley and her family foundation, the Manitou Fund, underwrote the cost to have the entire venue looped. More than 60 million Americans, 23 percent of the population, are affected by hearing loss in at least one ear, according to Johns Hopkins University, and even an estimated one in five teenagers experiences some degree of hearing loss. When the damage is slight, the listener may not even know what they are missing sonically (e.g., chordal nuances, high-end register details); when it’s extensive, the world can be a confusing cacophony of muddled sounds. Since hearing loss is not visibly detectable by others ​— ​and because many who are affected don’t reveal their need for accommodations due to shame associated with this disability ​— ​venues often don’t provide high-quality assistive listening devices. This past year, OTOjOY has had huge successes. Not only has the company installed hearing loops in venues throughout California and Arizona, but it also began looping outdoor music festivals, such as Stagecoach, the Oregon Eclipse Festival, and Coachella. (Hear the sound difference of the looped Lady Gaga here.) Although the company is making headway in the festival arena, it is still an uphill battle. For example, despite offering to loop several shows for free at the recent Austin City Limits, Kaufmann’s offer was declined. In addition to installing hearing loops, OTOjOY offers high-fidelity earplugs and recently released OTOjOY LoopBuds, earbuds that work in conjunction with a phone app and allow users to access hearing loops in venues to listen to music and speech with enhanced clarity. LoopBuds has already garnered a New Product Award from WFX and a 2018 CES Innovation Award. The company itself is a 2018 Edison Awards nominee and a semifinalist in the Arizona Innovation Challenge.